Tampa, Florida debuted mobile credit card payment solutions to pay for on-street parking this Monday, which is their effort to become more technologically accessible for their population— given today’s tech-savvy generation. Residents, businesses, and visitors are now able to pay for parking with their cell phone or other mobile device using mobile applications for iPhone, Android, Windows, and Blackberry smart phones. “This is one more step we are taking to make Tampa a more tech-savvy, accessible city,” said Bob Buckhorn, mayor of Tampa. The city contracted with a technology based company specializing in mobile credit card payment solutions for parking to offer the service. It allows people to pay using a mobile application, which is available for iPhone, Android, Windows and BlackBerry smart phones. In addition, customers may also pay directly at the meter, via the internet or by calling a toll-free number. What does this mean for the rest of the country? With the implementation of mobile credit card payment solutions within big cities across the county, more people will be apt to make payments via a mobile device. This means that metered parking will be utilized more frequently due to the ease of access for consumers to make mobile credit card payments. Credit card processing through a mobile device will also lead to consumers paying off traffic citations or parking tickets more quickly—making the city more money. Can you use mobile credit card payments? A lot of merchants like mobile restaurants and retail businesses utilize wireless terminals that typically cost significantly more than traditional terminals. The benefit of using mobile credit card payments is you can use your smartphone as your terminal; which is much more cost effective. Looking for a solution? 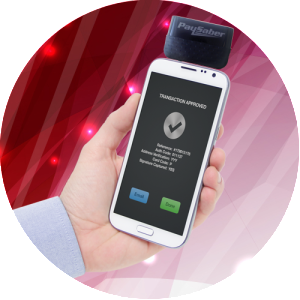 Century Business Solutions has a great mobile app that qualifies your transactions at the lowest possible interchange rates.